Professor Hubbard is a specialist in public finance, managerial information and incentive problems in corporate finance, and financial markets and institutions. He has written more than 90 articles and books on corporate finance, investment decisions, banking, energy economics and public policy, including two textbooks, and has co-authored Healthy, Wealthy, & Wise: Five Steps to a Better Health Care System. In a recent book, Tax Policy and Multinational Corporations, he argues that U.S. tax policy significantly affects financing and investment decisions of multinational corporations. 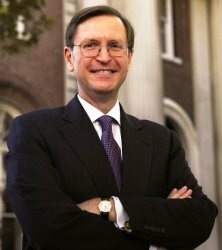 Hubbard has applied his research interests in business (as a consultant on taxation and corporate finance to many corporations), in government (as deputy assistant of the U.S. Treasury Department and as a consultant to the Federal Reserve Board, Federal Reserve Bank of New York and many government agencies) and in academia (in faculty collaboration or visiting appointments at Columbia, University of Chicago and Harvard).